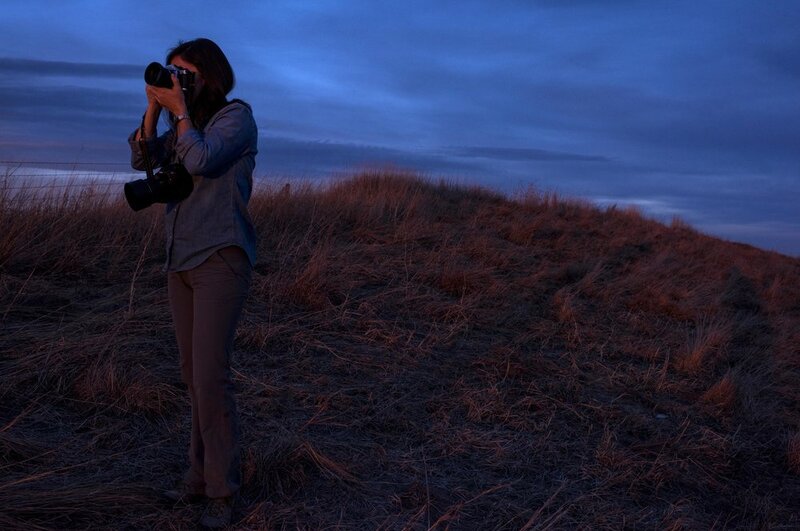 Sunset in Nebraska with my FM2 and a D810. March, 2017. I meant to write a blog last week. It just didn’t happen. I moved from my old apartment to my new house, edited four videos, made arrangements for shoots in Nebraska and Kentucky, planned ahead for trips to Sri Lanka and Spain, and - in general - felt pretty overwhelmed. I don’t get overwhelmed often. Over the years I’ve gotten pretty good at balancing work and life (though it wasn’t always a healthy one), but sometimes the scale tips to one end or another and things get left undone. The thing that got left undone last week, was this blog. This week I’m no less busy. Bill and I have been in northern Nebraska working on the next piece for the Nebraska Project. It’s been hard work full of long days and short nights. We’ve been to a branding, camped in three state parks, shot time-lapses, made portraits and landscapes, and driven about 300 miles. October 2016 in O'Neill, NE, setting up the Cinevate Motion Control Timelapse. It's not from this trip, but is an accurate representation of what life on the road looks like. The only difference being that it's colder right now, and our minivan is white. While we always work hard on the road, it never seems as stressful as it does when work piles up at home. There is a freedom in being on the road. I sometimes feel like I take on an alter ego when I travel for work. I don't shower or wear makeup on a regular basis. I eat peanut butter out of the jar, tuna out of the can, and more bananas and oranges than a captive monkey (they are the only fruits that come in their own, natural wrappers and don't require a fork and/or knife to eat). I’m Laura Heald, the vagabond photographer, wondering as I wander. Time on the road gives me nights alone in tents and hotel rooms. That’s time to think; to sit alone and sort through the weight in my brain that I never get around to lifting when there are better things to do. My room last night - The Mari Sandoz Suite at the Olde Main Street Inn in Chadron, NE. Time on the road is time to create. Making images during the golden hour of light just before sunset or long exposures of the milky way on a clear night are pictures I always intend to take when I’m home. But at home there are dinners to cook, runs to go on, happy hours to attend or sleep to be had. Those things don’t exist on the road. Life on the road is life in a vacuum. It’s easy to forget I have a normal life waiting for me somewhere else. As the road lays out before me, so do opportunities. Getting lost in a moment - a story or a sunset - is the only reasonable thing to do when there is nothing else pulling me away. That’s why on a cold Wednesday night in Chadron, NE, I’m sitting up in bed writing a blog. I’m doing it because I can. The only other thing to do is sleep, and I’ll do that when I get home.